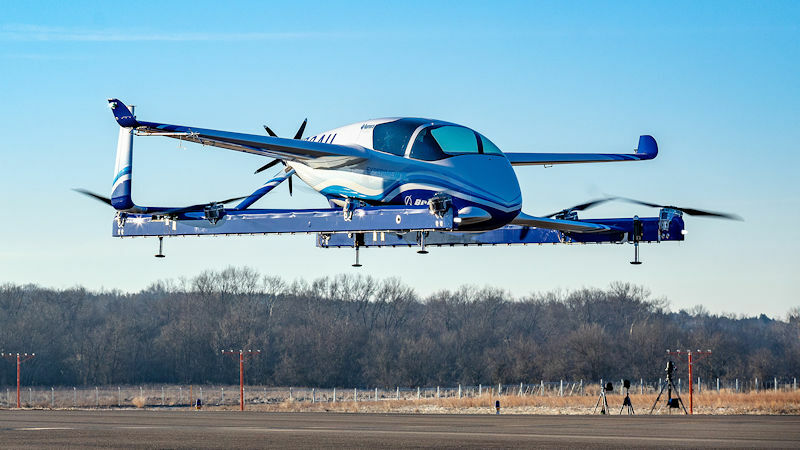 Boeing has successfully completed the first test flight of its autonomous passenger air vehicle, as part of the company’s development of flying car urban transport. The flight lasted less than a minute, comprising a controlled takeoff, hover and landing, during which it tested the vehicle's autonomous functions and ground control systems. Future flights of the 30 feet (9.14 metre) long, 28 feet (8.53 metre) wide passenger air vehicle (PAV) will test forward, wing-borne flight, and the transition phase from vertical to forward-flight. The transition phase is typically the most significant engineering challenge for any high-speed vertical takeoff and landing aircraft. Boeing Chief Technology Officer Greg Hyslop said the project had progressed from a conceptual design to a flying prototype in one year. Boeing “will continue to lead with a safe, innovative and responsible approach to new mobility solutions,” he added. Powered by an electric propulsion system, the prototype is designed for fully autonomous flight from takeoff to landing, with a design range of up to 50 miles (80 km). 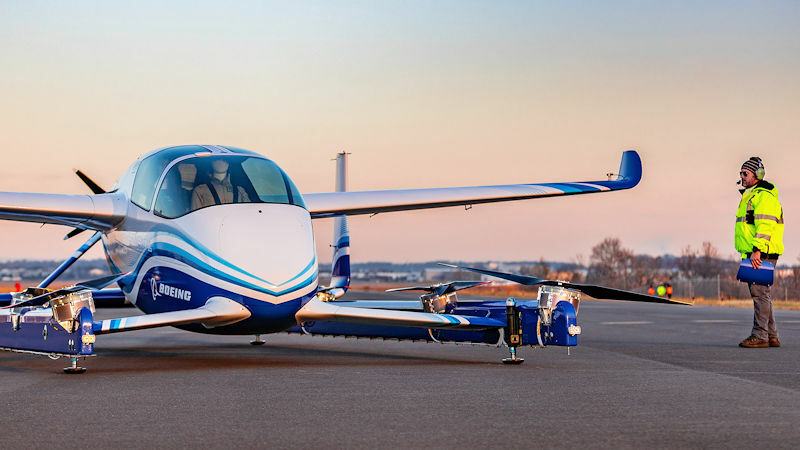 In addition to the PAV prototype, Boeing is working on an unmanned electric cargo air vehicle (CAV) designed to transport up to 500 pounds (226 kg) The CAV has completed its first indoor flight and will start outdoor flight testing later this year.